Weather Tight is proud to be the leading home remodeling company in the Greater Milwaukee area. We serve an expansive area including nine counties throughout Southeastern Wisconsin—and it’s allowed us to satisfy over 25,000 customers during our 30+ years in business. Our A+ BBB rating and customer testimonials speak for themselves. We’re sure you’ll see why we are the number one remodeling company in the area after just one appointment. Take advantage of our free in-home, no-obligation consultations and price quotes to see what we can do for your Hales Corners home remodeling project. We are Wisconsin’s most recommended remodeler and we’ll care for your project from start to finish, including doing your warranty paperwork for you. Give us a call at 414-459-3874 or contact us today to get started. Or stop by our West Allis showroom to view some of our products and ask any questions you have. We’d be happy to get your remodeling project started! Looking to improve the energy efficiency of your Hales Corners home? Ask a member of our team about having all new windows installed. Not only do they keep weather out, but they’ll improve your family’s comfort by sealing more tightly. Our options include garden, double hung, casement, sliding, full-frame, and bow and bay windows. No matter what you’re looking for, we can find and install beautiful windows that will open up your home—especially if you’re looking to let in more natural lighting. Every window we install or replace is fit for your project. We don’t have standard windows ready to go—it’s all custom and tailored to fit your home. Rest easy knowing the installation is reliable and that your warranty paperwork is taken care of when we perform your home remodel. When Hales Corners homeowners are looking for long-lasting, beautiful roofing options, they turn to our experts here at Weather Tight. They know our customer service is second-to-none and that we truly care about their remodel project. Let’s discuss your roofing options like metal or asphalt shingle roofing and decide together which option is best for your home and budget. We will also recommend new gutters, gutter protection, and soffit and fascia as needed to ensure your home and new roof are protected and weatherized. Not to mention, your home will look great. 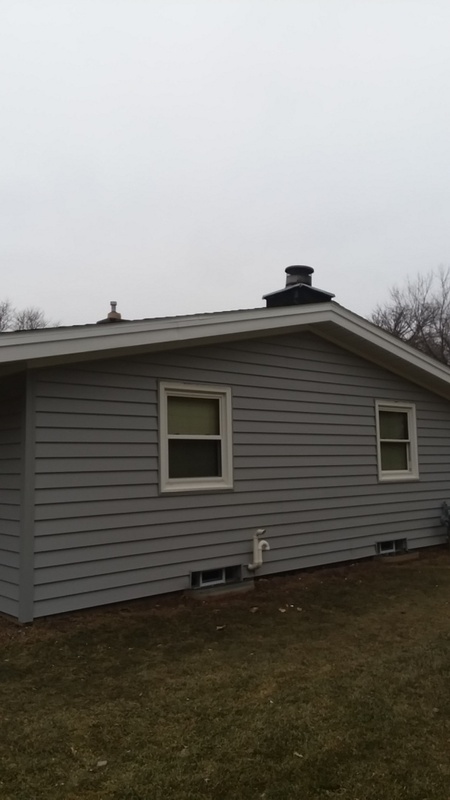 Your Hales Corners home will look like new with help from our siding installers. Let us walk through your vinyl siding and engineered wood siding options and answer any questions you have. The options include shakes and scallops of all colors—we’re confident you’ll find what you’re looking for. In fact, we’ll make sure of it. Let us also show you some new door options to update your home and improve its security. A new front entry, back patio, or garage fire door is a great way to protect your home. You’ll also be glad to know that you can customize your new door to match your home. From hardware color to door handle, the choice is yours and we’re happy to meet any requests you have. How About Visiting Hales Corners? The Village of Hales Corners is located southwest of Milwaukee and has a lot to offer both residents and visitors alike. When you’re coming for the day, make sure you check out the Wehr Nature Center and the world-famous Boerner Botanical Gardens. Take in the beauty of an endless number of flowers and plants on a guided tour. Or enjoy a lovely Sunday brunch while appreciating the views of the gardens. Boerner Botanical Gardens hosts various occasions that are great way to immerse yourself in nature. If you’re looking for a bite to eat, check out Bosch, The Hale House, or Open Flame—local favorites you’re sure to enjoy. Hales Corners truly is a go-to place in the Milwaukee area. When you are coming to tour our showroom from Hales Corners, start out driving north on South 108th Street for 2 miles, turn left onto South Wollmer Road, and then turn left again onto Milwaukee NN/West Oklahoma Avenue. You will see our showroom on the right side.